"The bomb will kill at least a dozen." This year’s Game Developers Choice Awards went ahead despite a bomb threat related to Anita Sarkeesian’s appearance there, say the show’s organisers. Speaking with Kotaku, GDCA organisers said that an anonymous person contacting them via email threatened to detonate a bomb at the show’s venue unless an award for feminist critic Anita Sarkeesian was pulled. "We can confirm that approximately 25 of GDC's organizers received an anonymous email early in the morning of Wednesday, March 19th, 2014 during GDC 2014," the organisers said. "The email stated the following: 'A bomb will be detonated at the Game Developer's Choice award ceremony tonight unless Anita Sarkeesian's Ambassador Award is revoked. We estimate the bomb will kill at least a dozen people and injure dozens more. It would be in your best interest to accept our simple request. This is not a joke. You have been warned.'" The show went ahead after a sweep of the venue – the Moscone Convention Center in San Francisco – by the police’s explosives division came up empty. GDC organisers did not inform attendees of the threat, but did employ additional staff to conduct random bag checks. In related news, the FBI is investigating the death threats and online abuse that drove Sarkeesian out of her home last month. A San Francisco police spokesperson confirmed to Polygon that Sarkeesian filed a report about the threats, and that the police have handed the information to the FBI for investigation. On August 26, Sarkeesian tweeted: "some very scary threats have just been made against me and my family. Contacting authorities now." She later tweeted, "I'm safe. Authorities have been notified. Staying with friends tonight. I'm not giving up. But this harassment of women in tech must stop!" 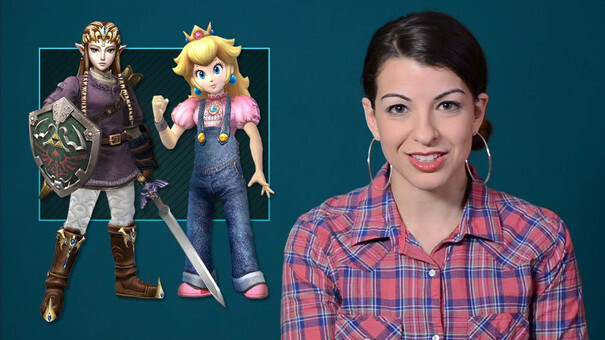 Sarkeesian confirmed that there were investigations underway regarding the abuse and threats she received. "There are ongoing investigations in multiple municipalities regarding death threats targeting me and my family," she said. "Despite the seriousness of the situation, a group of obsessive cyberstalkers have started a witch hunt against me attempting to prove some sort of paranoid conspiracy theory about fabricated threats. This is unfortunately another example of how the aggressive denial of women's lived experiences online is not only sexist but can actually be dangerous. "The witch hunt is irresponsible and has further compromised my privacy and my personal safety as well as serving as a distraction to authorities during an ongoing investigation." Last month, Feminist Frequency published a new episode of Tropes vs Women in Video Games looking at the Women as Background Decoration trope. Earlier this month, the International Game Developers Association told Polygon that they were working with the FBI and bullying experts to help game developers deal with what they see as an increase in online harassment.